Start off your visit on the 16th (Sat): get to know the fascinating history of Filbert Steps. Get ready for a full day of sightseeing on the 17th (Sun): take a stroll through Fisherman's Wharf, admire all the interesting features of Alcatraz Island, and then take in the views from Golden Gate Bridge. To see where to stay, traveler tips, other places to visit, and other tourist information, use the San Francisco itinerary website . Durham, UK to San Francisco is an approximately 16-hour combination of train and flight. You can also do a combination of train, flight, and subway; or do a combination of train and flight. The time zone changes from Greenwich Mean Time to Pacific Standard Time, which is usually a -8 hour difference. Expect somewhat warmer temperatures when traveling from Durham in May; daily highs in San Francisco reach 24°C and lows reach 13°C. Wrap up your sightseeing on the 18th (Mon) early enough to drive to Yosemite National Park. Kick off your visit on the 19th (Tue): admire the sheer force of Chilnualna Falls and then stroll through Mariposa Grove of Giant Sequoias. 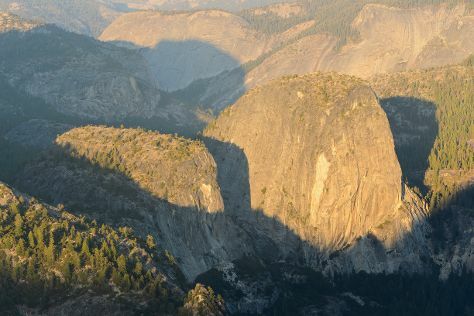 Keep things going the next day: get answers to all your questions at Yosemite Conservation Heritage Center, take in the dramatic natural features at Sentinel Dome, then take in the dramatic natural features at Glacier Point, and finally trek along Panorama Trail. For photos, traveler tips, reviews, and more tourist information, you can read our Yosemite National Park route planning tool . Traveling by car from San Francisco to Yosemite National Park takes 4 hours. Alternatively, you can take a bus; or do a combination of subway, flight, bus, and taxi. Traveling from San Francisco in May, you can expect nighttime temperatures to be slightly colder in Yosemite National Park, with lows of 1°C. Wrap up your sightseeing on the 20th (Wed) early enough to drive to Las Vegas. Kick off your visit on the 21st (Thu): explore the stunning scenery at Red Rock Canyon National Conservation Area, then admire the natural beauty at Bellagio Conservatory & Botanical Gardens, and then ponder the design of Bellagio Fountains. To see photos, traveler tips, where to stay, and more tourist information, go to the Las Vegas tour planner . You can drive from Yosemite National Park to Las Vegas in 9 hours. Traveling from Yosemite National Park in May, expect Las Vegas to be much hotter, temps between 36°C and 20°C. Finish your sightseeing early on the 21st (Thu) to allow enough time to travel to Grand Canyon National Park. On the 22nd (Fri), hike the day away at Bright Angel Trail. There's still lots to do: explore the stunning scenery at Grand Canyon South Rim, make a trip to Powell Point, trek along Rim Trail, and tour the pleasant surroundings at South Kaibab Trail. To see other places to visit, ratings, where to stay, and more tourist information, go to the Grand Canyon National Park driving holiday app . Traveling by combination of car and flight from Las Vegas to Grand Canyon National Park takes 4.5 hours. Alternatively, you can drive; or take a shuttle. The time zone difference moving from Pacific Standard Time to Mountain Standard Time is 1 hour. While traveling from Las Vegas, expect slightly colder days and much colder nights in Grand Canyon National Park, ranging from highs of 23°C to lows of 0°C. Cap off your sightseeing on the 24th (Sun) early enough to travel to Washington DC. 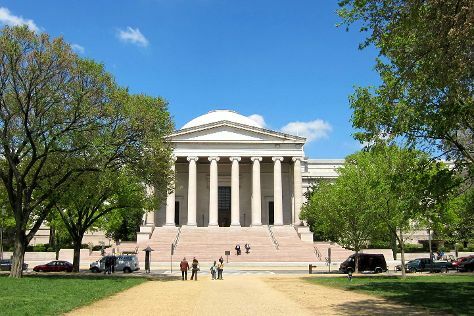 Kick off your visit on the 25th (Mon): admire the masterpieces at National Gallery of Art, see the interesting displays at National Air and Space Museum, and then contemplate the waterfront views at Tidal Basin. Get ready for a full day of sightseeing on the 26th (Tue): ponder the world of politics at United States Capitol, get a new perspective on nature at Smithsonian National Museum of Natural History, then appreciate the history behind Vietnam Veterans Memorial, and finally take in the spiritual surroundings of Washington National Cathedral. To see reviews, more things to do, other places to visit, and tourist information, go to the Washington DC vacation planning tool . Getting from Grand Canyon National Park to Washington DC by combination of bus, flight, and train takes about 12 hours. Other options: do a combination of bus and flight; or drive. The time zone difference moving from Mountain Standard Time (MST) to Eastern Standard Time (EST) is 2 hours. Traveling from Grand Canyon National Park in May, expect nights in Washington DC to be warmer, around 17°C, while days are somewhat warmer, around 28°C. Finish your sightseeing early on the 26th (Tue) to allow enough time to travel to New York City. New York City is known for museums, nightlife, shopping, historic sites, and parks. Your plan includes some of its best attractions: go for a walk through Central Park, explore the galleries of 9/11 Memorial, pause for some photo ops at Statue of Liberty National Monument, and explore and take pictures at Schomburg Center for Research in Black Culture. To find ratings, where to stay, and more tourist information, read our New York City road trip planning site . You can fly from Washington DC to New York City in 3.5 hours. Alternatively, you can do a combination of flight and bus; or drive. Traveling from Washington DC in May, you will find days in New York City are slightly colder (24°C), and nights are about the same (15°C). Finish your sightseeing early on the 29th (Fri) so you can travel back home.